Canton fair, an international trade grand meeting, is approaching. The elite of ADTO GROUP is busy to make preparations, ready to fight in the battle of Canton Fair. In order to inspire the morale, improve the staff's fighting ability and welcome the exhibition with the best state. On September 10, 2018, the international trade stuff of ADTO held a mobilization meeting for 124 session of Canton Fair. The meeting highlighted the recruitment of brand agents firstly. ADTO GROUP will focus on recruiting agents in the fields of scaffolding, seamless pipe, galvanized steel pipe, aluminum ladder, painted board, steel structure, safety net, steel mold, aluminum mold and other products in this fair. Subsequently, elite of foreign traders signed the letter of Canton Fair target responsibility on the site. The conference also put forward a strong promotion policy for the on-site customers, and there will be a huge surprise for the on-site signing. It is worth mentioning that in addition to the "ADTO" brand exhibition, the joint venture established by ADTO UNION and a large number of domestic factories, including "Juncheng ADTO" brand, will also have a shiny appearance. The ADTO UNION will recruit more cooperative enterprises/factories at the exhibition site to meet the procurement needs of a large number of overseas customers on the platform and help more cooperative enterprises/factories with foreign trade. At the same time, ADTO UNION also recruits overseas agents to sell products directly provided by the manufacturers on the platform abroad, so that more overseas customers can enjoy best quality, excellent prices and excellent services. At the meeting, Chairman You of ADTO Building Materials Group said: Canton Fair, as an important platform for foreign trade and export business development, should be pay great attention by each exhibitor. During the exhibition, the exhibitors should boldly innovate business models, actively promote and introduce the ADTO UNION platform, and strive to develop new customers and new markets. He hoped that this fair can reach a goal of double harvest that expanding export transaction and increasing brand agent, and lay a solid foundation for the company's continually steady growth on import and export business. ADTO GROUP, leading professional scaffolding manufacturers in China, focus on scaffolding research and development, having vary kinds of scaffolding for sale. 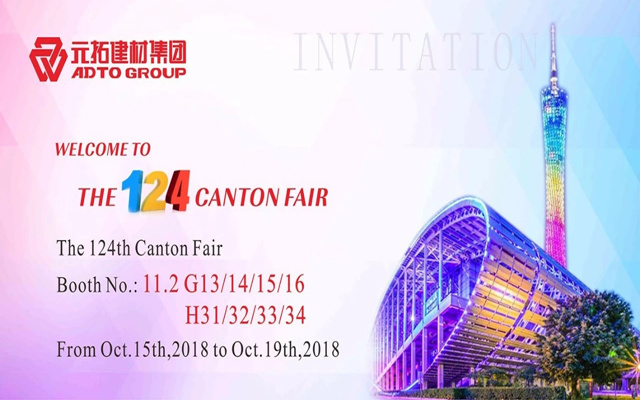 We truly hope to meet you in the Canton Fair.